Petite ladies, this one is for you. Petites can go for almost any cut, but a wide-leg pair may leave you looking like you are drowning in fabric. It’s a good idea to try for a pair of jeans that gives you as much length as possible. A classic pair of high waisted trousers is pretty fool-proof, or this pair of LC Lauren Conrad midrise skinny jeans will make your legs look as long as possible. These jeans are as classic as they come and provide a soft stretch to keep you comfy and not restricted. Show off your curves by choosing a pair of jeans that hugs your assets and flatters in all the right places. 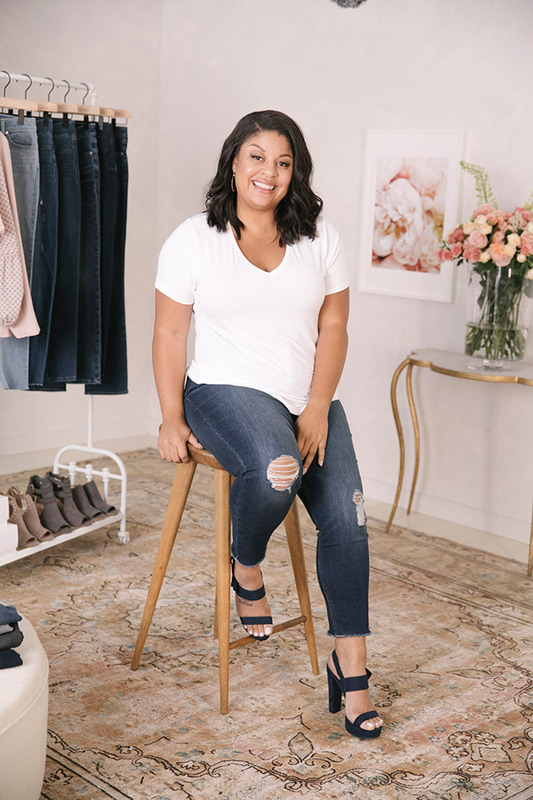 A lot of denim brands have fits that are marked specifically for curvy women, including my new LC Lauren Conrad denim collection. All of my new jeans are made with a 4-way stretch fabric that won’t become baggy or ill-fitting by the end of the day, plus they even come in six different washes. This pair of plus size midrise skinny jeans are bound to be your new faves. If you’re a curvy girl with a small waist, a high waisted style will accentuate and flatter your shape. If you’re tall with a more athletic or lean build, let’s show off those long legs. A low-rise pair of jeans will give you more proportion and a high-rise style will make your legs look like they go on for days. Don’t be afraid to try different styles with your height like this slight bootcut or this perfect jegging. If you have the curvy but balanced body type we call “hourglass,” this one is for you. This figure can wear almost any cut, but skinny jeans will almost always help to highlight your curves. 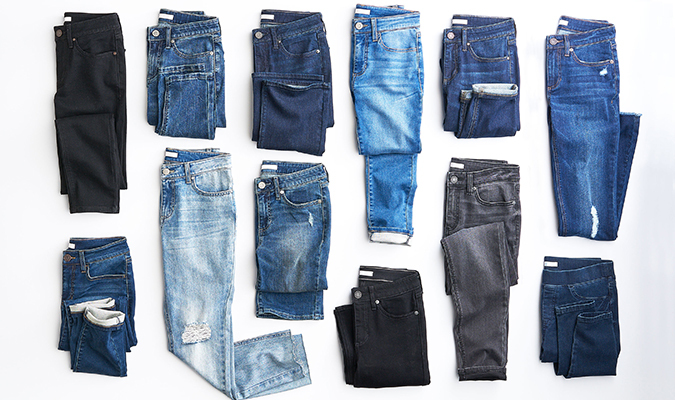 Opt for a high-rise pair of jeans that will hug you in all of the right places. A mid-rise pair may leave you with that dreaded gaping at the waistline. A pear shaped body type tends to carry weight in the hips, rear, and legs. A midrise, balanced style will flatter your shape because it will elongate your legs. Ideally, you should search for a pair of moderate skinnies with straighter legs.